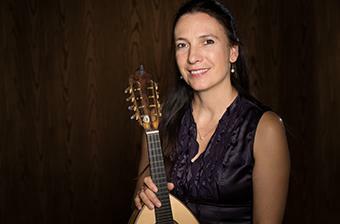 Caterina Lichtenberg captures her renowned classical playing in this library of classical mandolin lessons. Students have access to hundreds of demonstration and analysis video lessons, backing tracks and more. Learn how to play classical mandolin from a true virtuoso. What ultimately sets these classical mandolin lessons apart from other offerings is the ability to submit a video for review using the ArtistWorks Video Exchange Learning® platform. Caterina reviews each submission and records a video response, offering specific guidance to take your mandolin playing to the next level. All students can access the Video Exchange library and watch each other’s interactions with Caterina. This library is constantly expanding and may contain the key to unlock your playing. Top class lessons from a world class teacher. Excellent and progressive tutorials. Progress your way with backing tracks, video lessons and support. Highly recommended. I feel I am learning like never before! The best, most thorough and most enjoyable online course I have ever done. The lessons are not too long with great support (music, backing tracks) and split the learning into achievable chunks. Great concept with sending in videos of your playing the various assignments for constructive comment. This course has given this studnt structure and a sense of achievement. Best of all, though, is the teacher. Caterina is not only world class in her field but she is so helpful and encouraging as a teacher. Highly recommended. A wonderful uplifting experience. Supportive yet challenging . Well constructed curriculum. Clear videos. Easy to upload videos and navigate through the content. A wonderful teacher in Caterina who demonstrates patience and infectious enthusiasm.It is such a fantastic opportunity to get encouragement and feedback from an accomplished professional. musicisn. I really really love the course and recommend it unreservedly. My progress on mandolin has improved! Viewing the video lessons of Caterina has been very beneficial to helping me progress on classical mandolin! This is a wonderful way to learn from an outstanding performer and teacher. The ability to access a lesson when desired and review it as necessary works ideally for me. Thank you ArtistWorks . Love the great lessons from talented musicians! Caterina Lichtenberg Mike Marshall Darol Anger George Willey Martin Taylor I've been a member for 3 years or so!